In 1868 a mature sixteen-year-old James Carroll Beckwith studied art at the Chicago Academy of Design under Walter Shirlaw until the great fire of 1871 devastated everything including a great part of the heart of the city. He at that point went to New York and studied at the National Academy of Design of which he later became a member while continuing his studies under Lemuel Wilmarth. 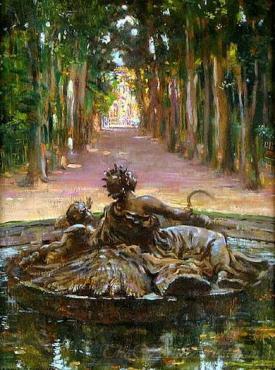 Afterward, James Carroll Beckwith went to Paris, remaining there for five years. In Paris had drawing courses with Adolphe Yvon and painting under Carolus-Duran who in 1877 chose James Carroll Beckwith and John Singer Sargent to help him with a mural wall painting for the Palais du Luxembourg. Coming back to the United States in 1878, step by step became an unmistakable figure in American art. 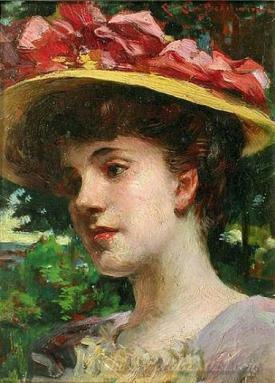 His abilities as an artist secured him a residency at the Art Students League of New York, where he instructed from 1878 to 1882 and again from 1886 to 1887. As an artist, he focused for the most part on portraits, figure studies and renderings of landmarks, and grand fountains, however, he never lost his enthusiasm for decorative design. James Carroll Beckwith took a dynamic part in the development of The Fine Arts Society and was President of the National Free Art League, which endeavored to secure the cancellation of the American duty on works of art. Among his portraits are those of William Merritt Chase, Mark Twain, Theodore Roosevelt, Thomas Allibone Janvier, John Schofield and William M. Walton. 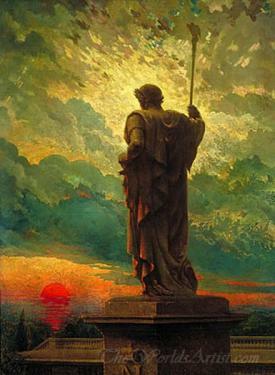 James Carroll Beckwith got many honors including an Honorable Mention at the Paris Exposition of 1889 and a Gold Medal at the Atlanta Exposition in 1895. 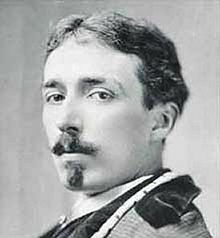 He additionally won an honor at the Exposition Universelle in Paris in 1899 for what is likely his most praised work, his 1886 portrait of William M. Walton. 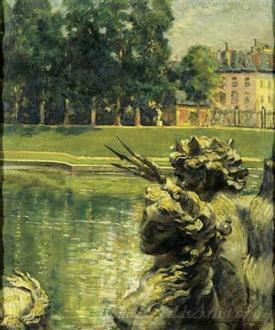 He won a gold award at the Charleston Exposition in 1902 and displayed at the St. Louis World's Fair in 1904, showing his painting The Nautilus alongside a portrait of his wife. 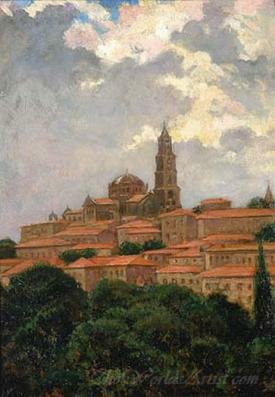 He lived in Italy from 1910 to 1914 and painted numerous en Plein air studies of landmarks and landscapes. Artists Influencing James Beckwith: Walter Shirlaw, Lemuel Wilmarth, Carolus Duran. 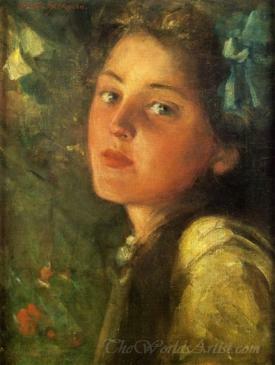 Painters James Carroll Beckwith Influenced: Violet Oakley. James Carroll Beckwith Hand-Painted Oil Painting Reproductions. James Carroll Beckwith Museum Art Replicas on Canvas.